Launched early in 2017, on the surface Midaur Casino doesn’t seem to be bringing anything new to the table, which is quite the problem when you consider how tough it is for a new site to find its feet in the competitive online casino industry. A fresh and new approach and tone are vital if a site has any chance of succeeding in this market, and Midaur doesn’t seem to have this in any way. However, first impressions can be deceiving, and we have been surprised before, so it’s worth taking the time to take an in-depth study of Midaur Casino to see if this is a new online casino with any hidden surprises that could help it gain the attention of the picky iGaming audience. Rumour has it that the promotions at Midaur will catch the eye of even the most selective player, but, at the time of writing, this is tough to prove because accessing the promotions page of the site takes you to an embedded YouTube video that is marked as “unavailable”, so one would have to take Midaur’s word for this, something that most players are unlikely to do. Not the best start for this site, and many may have given up already, but for the more patient player out there, what does Midaur have to offer that you can actually find out about without an immense amount of research being necessary? The online casino industry is over two decades old now, and during that time, the choice to use a black and gold colour scheme to suggest luxury and affluence has been constantly used by sites to the point that it’s off-putting to see a new site that opts for it, which works against Midaur, because black and gold is all you get here. However, in defence of this site, Midaur Casino does take the black and gold concept to lengths that have rarely, if ever been seen before. Even the thumbnails on the homepage are black and gold (until you hover over one, then it takes its original form with the colours and artwork of the game itself) which is a nice touch, and looks really good. If you’re going to use a dated and worn out concept, then do something new with it, and Midaur Casino definitely does, creating a striking look for itself. Navigation is easy as well, with everything (bar the promotions video) easy to access. 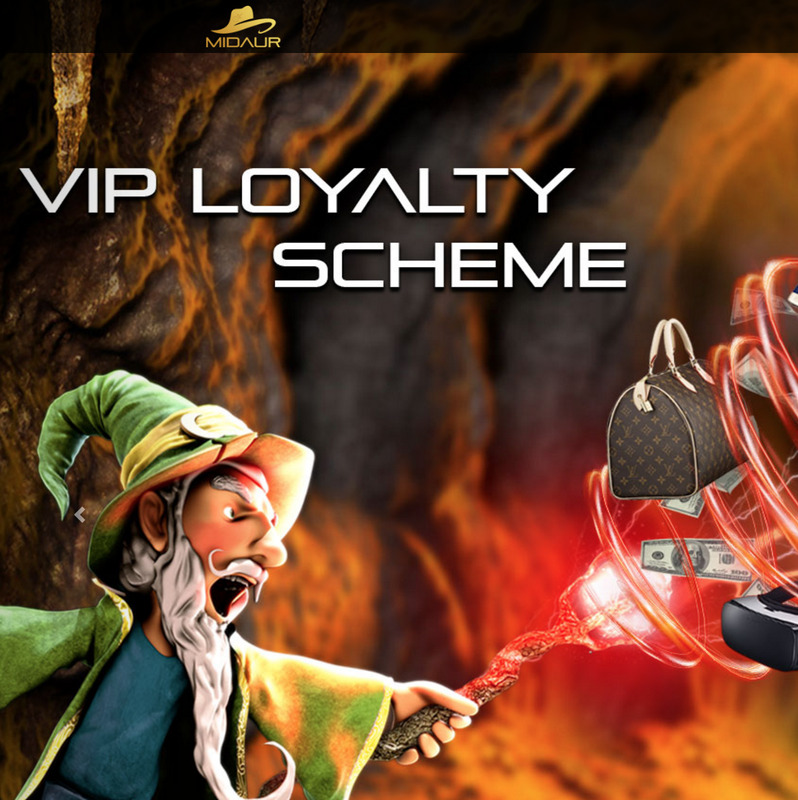 For a site that has chosen such an overused theme, Midaur Casino genuinely does well, and that is to be respected. Midaur has an interest mix of games available, mainly due to the developers who provide the games, namely 1X2 Network, Ainsworth, Big Time Gaming, Casino Technology, Core Gaming, ELK Studios, Extreme Live Gaming, Gamevy, Leander Games, Nektan, NextGen Gaming, and NYX Gaming. The first thing most will notice here is the lack of industry giants such as Microgaming and NetEnt, which may turn some players away. 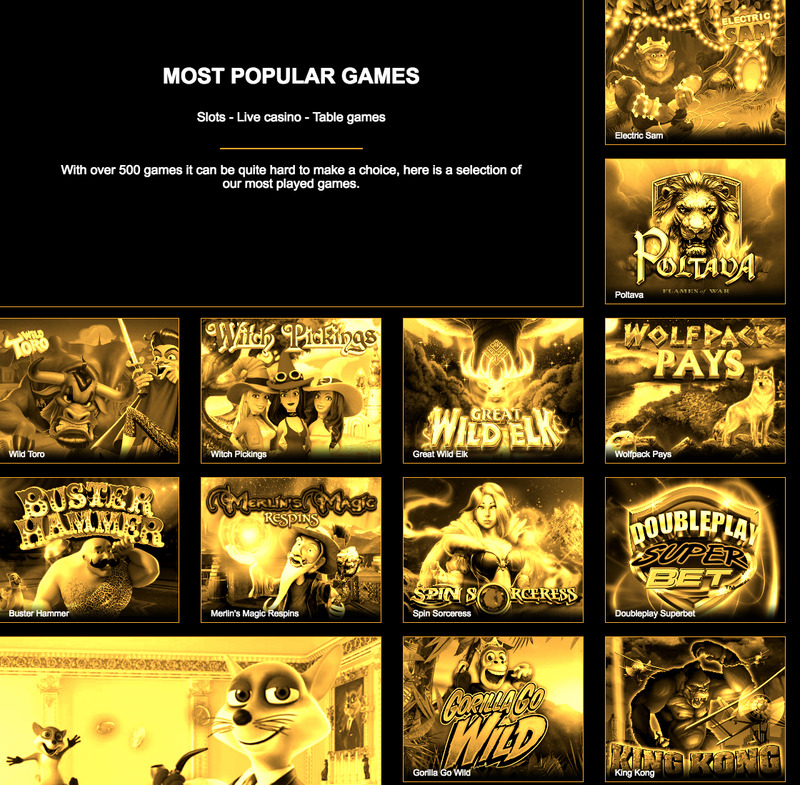 However, the truth is, NetEnt and Microgaming games are available at almost every site, and what you get here is a mix of less common games, as well as a fair few old favourites from some of the bigger names on the list. There’s a good selection of slots here, although this is where the lack of the big names does cost the site a little. Table and card game fans will be happy with the options though, especially with the full suite of Extreme Live Gaming live dealer games being available. Midaur Casino is a better site than one may initially assume, but whether it’s good enough to be competitive remains to be seen.